building up the body of Christ, 13 until we all attain to the unity of the faith and of the knowledge of the Son of God, to mature manhood, to the measure of the stature of the fullness of Christ, 14 so that we may no longer be children, tossed to and fro by the waves and carried about by every wind of doctrine, by human cunning, by craftiness in deceitful schemes (Eph. 4:12-14). No doubt, URCNA members still need be good Bereans (Acts 17: 11), but they don’t have to be overly worried every week as to what new theological trend or worldly advice will come from the pulpit. 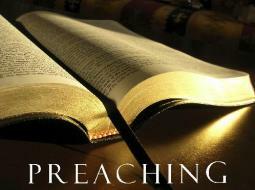 Simply put, we strive to preach Christ and Him crucified week in and week out (1 Cor. 1:23; 2:2). That said, what happens when one’s pastor is on vacation, sabbatical or gets sick. Who will fill the pulpit? What usually happens is that the elders of the church will try to get another ordained minister, candidate for the ministry, or licensed exhorter (usually a seminary intern) to fill the pulpit. Some churches have the luxury of living in an area where there are many qualified men to fill the pulpit. When I went to Westminster Seminary in Escondido, CA I noticed that the churches in San Diego were never short on pulpit supply. There are a plethora of Presbyterian and Reformed churches in San Diego and there was always a seminary intern, seminary professor, or a church that had more than one pastor or intern to draw from. Here is a Google map I once created of all the NAPARC (North American Presbyterian and Reformed Council) churches in California. However, now that I live in the Reformed wilderness of Saskatchewan with the nearest NAPARC church being 6 hours away in another province, I have learned that for some churches it is a difficult task to find pulpit supply if their pastor is on vacation or gets sick. That said, what usually happens in URCNA churches when a church cannot find a man to fill its pulpit is an elder will read a sermon manuscript from a qualified Reformed minister. It may be a manuscript from a minister in the URCNA or any of the other sister denominations that we are in ecumenical relations with (e.g. Canadian and American Reformed Churches, Orthodox Presbyterian Church, et al.). However, the preference is usually to find manuscripts from ministers in the URCNA. Where then can an elder find such sermon manuscripts from URCNA ministers? Several elders in Classis Western Canada have mentioned to me the need for more sermon manuscripts to draw on, especially for those churches who go without a pastor for 1-2 years as they prayerfully search for a new one. With this need in mind, the elders at my church encouraged me to post my sermon manuscripts on our church web-site since I already write out my sermons. I normally preach from an outlined manuscript so that I can go from thought to thought without being bound to my manuscript. However, it doesn’t take much for me to convert it to a normal looking sermon manuscript. Thus, I am currently posting sermon manuscripts from 1 John whenever I have the time. Today I posted four new manuscripts and have four more on the way (I am playing catch up). However, there are plenty of other better sermon manuscripts than my feeble offering from more seasoned URCNA pastors. I have located the few places online where they can be found and would like to share this information so that elders who are looking for manuscripts can easily locate them. I thought that it would be timely to post links to these manuscripts because during the summer time it is more difficult to find pulpit supply with all of the pastors who take vacation this time of year. Furthermore, the URCNA Synod is coming up and there will be even more need for pulpit supply. So here is what I have found so far. I invite you to point out to me any other places that one can find sermon manuscripts from URCNA pastors. I also invite any URCNA pastors to send me a few of their manuscripts or to post them on their church web-site so that I can link to them. My plan is to have a tab on my blog dedicated to URCNA sermon manuscripts as a “one stop shop” for elders. I hope this is helpful for the sake of Christ, His Gospel and His Church. This entry was posted in sermon manuscripts and tagged sermon manuscripts by Brian Cochran. Bookmark the permalink.